Mattresses come in a wide variety of styles and comforts, and it can be challenging to pinpoint just the right bed for someone. 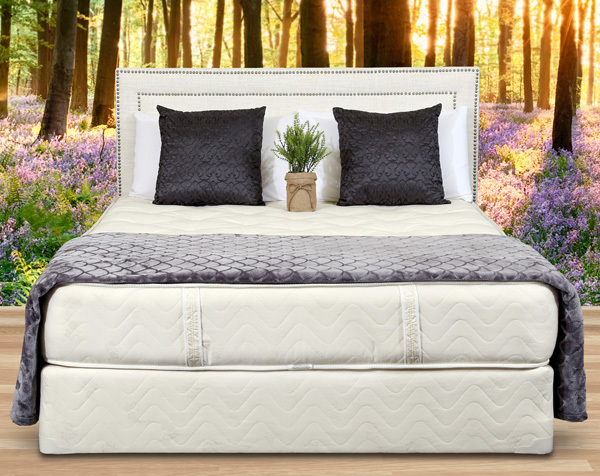 Aside from how firm or soft a bed should be, many people also seek organic or all-natural mattress because that is an essential part of their lifestyle and personal mission to source their home goods from sustainable resources. Organic mattresses are made with cotton, wool, and/or natural latex and are appropriate for individuals of all ages. Be sure to consider organic mattresses, as well as traditional ones, when searching for the perfect bed. Why Choose an Organic or All-Natural Mattress? Organic mattresses may feel like a luxury. Mattresses made with natural materials are an excellent choice for anyone’s bedroom. Organic mattresses allow people of all ages to rest comfortably. The expense of an organic or all-natural mattress is negligible when compared to the life expectancy of the mattress made with materials meant to last for years to come. If a sleeper is sensitive to chemicals and fragrances, organic and all-natural mattresses are a great alternative. Natural cotton, wool, and latex can help those who wish to avoid the scents often related to traditionally manufactured mattresses. Organic or all-natural mattresses are great options for sleepers who tend to ‘run hot’ at night. Ironically, wool is a great option for helping people stay cool in the summer and warm in the winter. Organic cotton and latex also help regulate the sleeper’s temperature by absorbing some of the heat while remaining cool to the touch. One reason many people choose an organic or all-natural mattress is to support sustainable farming methods. Natural latex is made from the secretions from rubber trees. Rubber trees are some of the most sustainable crops on the planet. Also, organic cotton farming requires a lot less water than regular cotton, which helps retain valuable water resources. Organic wool is another respectfully sourced material; in fact, since wool is so durable, it needs to be washed less than other materials and can be recycled. Wool is also biodegradable, so its final impact on the environment is less than other materials. Contact Gardner Mattress today to learn more about natural and organic mattresses and how they can create a comfortable place to sleep for individuals of all ages.